Home » Articles » 184. Depressed? 11 Reasons to Start Walking! ← 183. How Do You Listen to Your Heart? Stuck in your body. No way out. Close to desperation. Being depressed can cause your life to come to a standstill and bring you to the deepest depths of yourself. Everything is dark and somber. Nothing can get you moving again as life passes you by. You don’t care. Thoughts, thoughts and more thoughts until they drive you crazy. These thoughts don’t help one little bit. They push you further into the murky depths. Everything is too much for you. You can’t move yourself to do anything, every day is hard work and it’s a relief when you can go to sleep again. How did you become this way? What can you do about it? – You have deep grief and can’t deal with it. – Someone did you an injustice and you’ve been derailed. – Because of setbacks, everything has been taken from you and you’re not in charge of your life anymore. – You’ve been abandoned in a cruel way that you can’t accept. – A group of people has turned against you and you have nowhere to go. – You’ve got the feeling that nobody understands you and you feel intensely lonely. How much resilience do you still have? These reasons are not yet enough to become depressed. Some people are resilient. They ask for help, talk about it and struggle their way out. They have thoughts like, “I won’t let it get me down” or, “I always find a way”. For others, that resilience is gone. And that’s when there is the danger of depression. They’ve been exhausted and walked on the tips of their toes for years. If something happens to them such as I mentioned above, it’s one thing too much. Enough is enough! I’ve had enough. I can’t take it anymore. I give up. And you drop everything and stiffen, shut away in your cocoon of desperation. The sooner you see that you depressed, the better. In regular treatment methods, psychiatrists and psychologists see that the more quickly you get help, the quicker you can climb out of it. If you remain locked in the depression for a long time, it becomes more difficult. One of the most difficult steps, however, is asking for help. The pain, the loss, the humiliation, are sometimes so intense that you don’t see any possibility of asking for help. You turn in circles and your thoughts are your worst enemy. They just keep going on. Keep serving you with the same dark thoughts. Continue slapping you in the face. 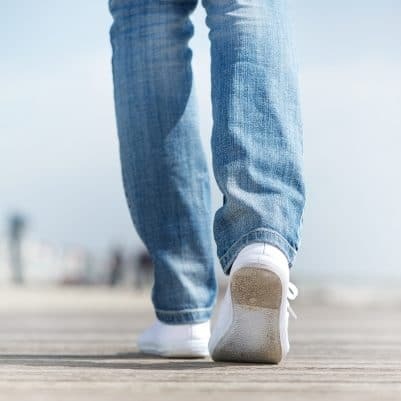 Out of the lethargy: take steps! The strongest clue of depression is lethargy. You can’t motivate yourself to do anything. You do only the most necessary of obligations (eat, go to the toilet, do your grocery shopping once in a while) and that was it. You spend the day waiting for it to be over. From this lethargy you glide further into depression. Break through this lethargy! How? By taking the first step and walking! Walking? Yes, just walk! Scottish scientists of the University of Stirling discovered that just calmly walking is effective with depression. Therefore, get off your couch, put one foot in front of the other. Put your coat on, open the front door and go outside. On the sidewalk, take the first right, then the first left and just keep going. “Today I started walking,” ACDA and de Munnik sang (Dutch duo). Maybe something for you? And walk for an hour. You’ve got nothing better to do, right? Your thoughts slowly loosen. The thoughts that kept running in tight circles in your mind fade and make room for new thoughts. Not right away, but you become aware of the first new thoughts after about a quarter of an hour. Your body begins to produce new hormones, Serotonin, which makes you feel happier. Your body’s circulation improves, good for your body and your brain. In addition, by walking you create new brain cells and new thought paths! Your perspective improves; you see more than just your bedroom and living room. By walking, you see new things. Walking is slow. The world slows down for a bit. You experience everything more intensely. The much too quickly paced world slows down. It adjusts to your tempo. Out of the rat race. Nature is everywhere. Tulips in someone’s garden, trees with their rough bark, birds that suddenly swoop down, maybe you hear water flowing somewhere, you smell the forest fragrance, feel a breeze on your cheeks… all of your senses are caressed when you are outside. Nature has a healing effect. People often start yawning when they walk in nature or afterwards when they’re inside again. Total relaxation. When you return from your walk, chances are you’ll want to take a nap. Feel free. Sunlight and even just daylight stimulate the production of vitamin D. Almost everyone who is inside a lot has a shortage of it. By walking outside, you slowly replenish the amount of vitamin D.
The light exercise and fresh air will help you fall asleep more easily and improve the quality of your sleep. By walking, you move from your head to your feet. The circles of thoughts move from your head to your body, making you feel more complete. Depression can develop through a shortage of nutrients. For example, because your body doesn’t have enough building materials to produce serotonin. They are in bananas, for example. If you start walking, it’s possible that you begin to crave other food. Listen to your body when you go grocery shopping after a walk! Or ask someone to buy this food for you. Even though the MIR-Method is not a one-stop, super-fast solution for depression, it will help you get moving. It can be the first step to getting up and taking a walk. By peeling off the first layer of misery from you. By bringing you into contact with your grief or your deep intense anger, through the cleansing of the meridians, step 4: Clear meridians. You remove a thin layer of depression by detaching yourself from the people who have been difficult for you through step 3: Detach father. Detach mother. From your colleagues, your boss. Or from friends who have dumped you. The depression lightens slightly, so you can take the next steps to get yourself out of it or to ask for help. With step 5: Supplement all shortages, your body is encouraged to eat the food that your body needs. Give in to it. Do you need salt? Eat it! Often, a mineral shortage plays a role with depression. Finally, step 9: Clarify mission takes center stage. When circumstances have fully derailed you, the MIR-Method will blow new life into things and you will find your path back. You start something new. And how about you? Have you noticed that you are more active since doing the MIR-Method and less depressed? Please write about it below. Thank you! My wish is that your legs can get your life back on track! I find walking a great stress buster. If I am feeling down or anxious I go outside and keep walking. The whole feel of nature and being outside in fresh air away from the confined space in my home eases the gloom and doom. The ruminating chaotic negative thoughts gradually fade as breathing in fresh air and listening to the world go by brings you to a whole new space. 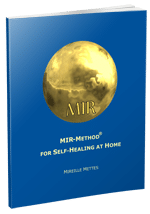 I continue doing the MIR method every few weeks as I find it balances my system and creates harmony within. Thank you for sharing your joy about nature. And… regarding the fact that you live in Ireland, your beautiful nature and sceneries must give extra pleasure! Am enjoying it with you!